FIRSTLY, thank you KALLE SAMOOJA for placing last week shame he eventually tied for 6th as his odds reduced from 80/1 to 40/1 but anytime you double your money for the week in golf it's a super week. My weekend was a strange one, a bottle of rhubarb gin didn't left me feeling fragile Sunday, an afternoon spent on toilet watching Samooja’s erratic FINNISH on the iPad. I eventually felt well enough to leave the house at 1400hrs venturing to ASDA and fell over to the laughter of many shoppers and my wife down the ready meals aisle. Sadly I fell back asleep whilst The Players was concluding but set my alarm for Baptiste on BBC 1, love Julien. I’m on my travels so week off next week. Ukraine the destination but I'll leave you with my best 4 for the week. 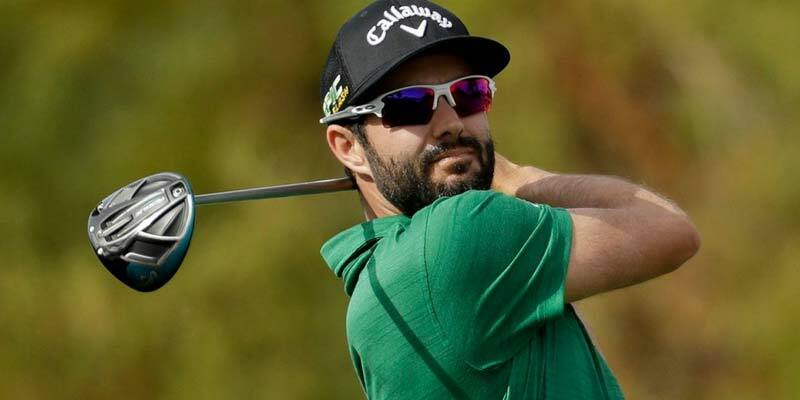 No reason why ADAM HADWIN can't do well again round Innis brooks par 71 layout , in 2017 he won and last year came 12th , with the event being in Tampa the Canadian may just buccaneer his way round once again , great odds this week 60/1. Russel Knox is a frustrating figure at the best of times, but I can't resist having another pop with the Scot this week, his form is on the increase this week a 63 last year in the event and currently one of the form horses on the circuit he may just make me eat my words so for that reason I'm on. Up your jumper it's Kuala Lumpur , slices favourite event , there 8 hours in front and I can keep up to date with all of it as I'm like an owl , had some good success over the years here and 2 selections here this year. The best looking Japanese man I've ever seen but with the game to boot, RYO finished 5th here last year with a cracking 63 shot over the weekend, ishikawa looks overpriced this week at 125/1. Pachara kongwatami , another one of Thailand's golfing prodigy’s has the ability to go well round a track he's posted top 20 finishes at before , coming into a good run of form kongwatami is 150/1 this week. Finally a shout out to the pig farmers association without your charitable work none of this would be possible.